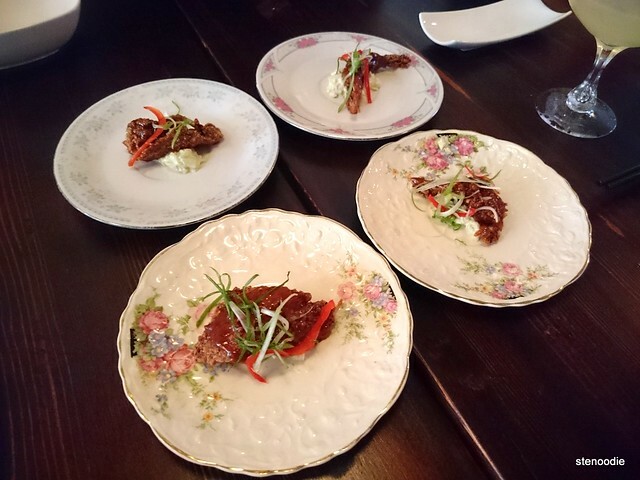 On a sunny but a little chilly spring night, four of us visited DaiLo for a delicious and satisfying fusion French and Chinese dinner. 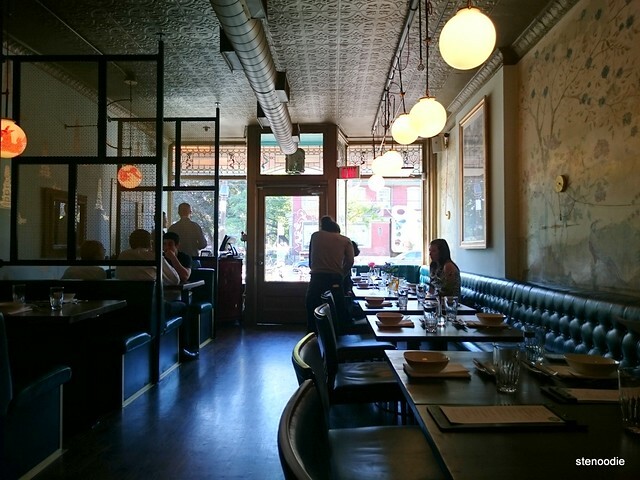 I had heard lots about this restaurant, residing on College Street near Bathurst in Toronto, but didn’t have the chance to visit until now. What a treat it was for us as we left very satisfied with our tummies full and our taste buds dancing. DaiLo is a two character phrase in Chinese that means “big boss”. Funnily enough, we decided to let the “big boss” of the restaurant decide our eating choices for the night. For only $55, you can opt into the Chef’s Choice on the menu which means that you allow the chef to choose dishes to place on your table. 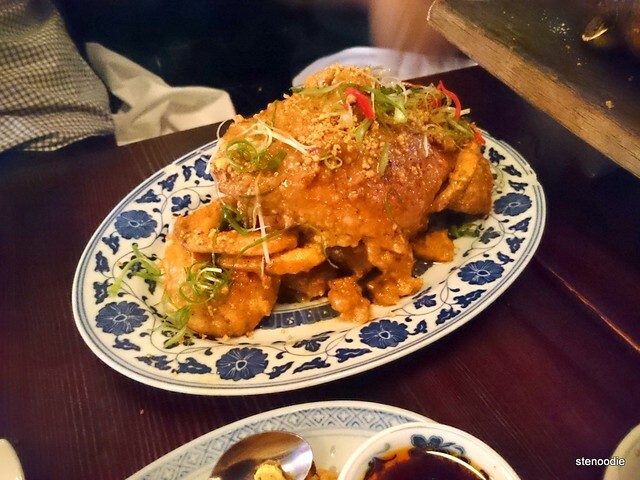 This is always a gamble as you never know what is going to appear on your table, but usually, it is a great choice as you not only get to taste most of the restaurant’s most popular dishes, but you might get a great deal out of it too. On this night, we actually ended up with 13 amazing dishes. 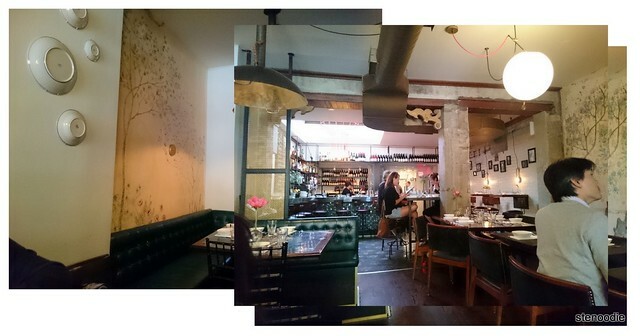 I can only recall a few times where I’ve been to a restaurant and been so satisfied for dinner. 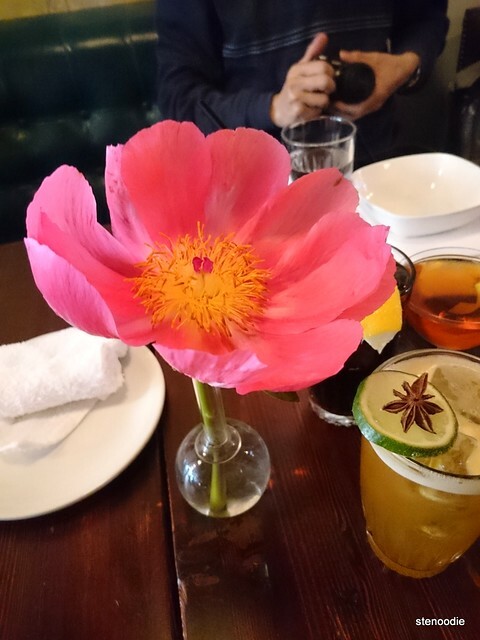 A beautiful flower on the table. Is this a lotus? We had booked reservations for 5:15 p.m. The restaurant was starting to fill up at this time but it wasn’t packed yet. Our server was very attentive, professional, and very knowledgeable of the menu all night long. He kept our water glasses full and replaced our dirty bowls with new ones when there were more courses on the way. He was also very thorough and well-spoken when it came to describing all the dishes that arrived at our table. 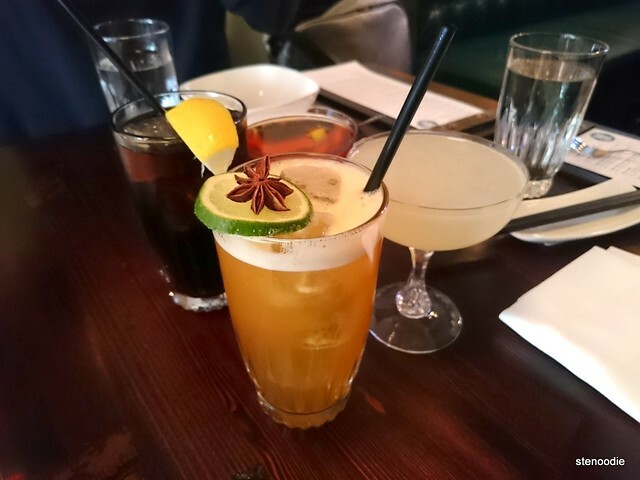 But first, we ordered a round of drinks. 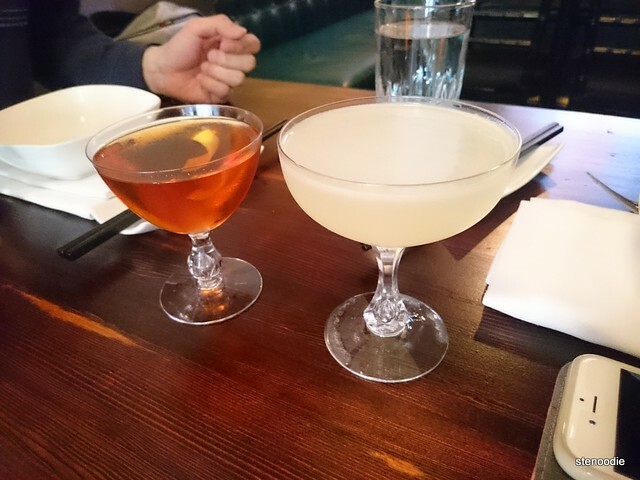 Since it is a restaurant that has a Chinese and French flair, many of their cocktails were Asian-inspired. 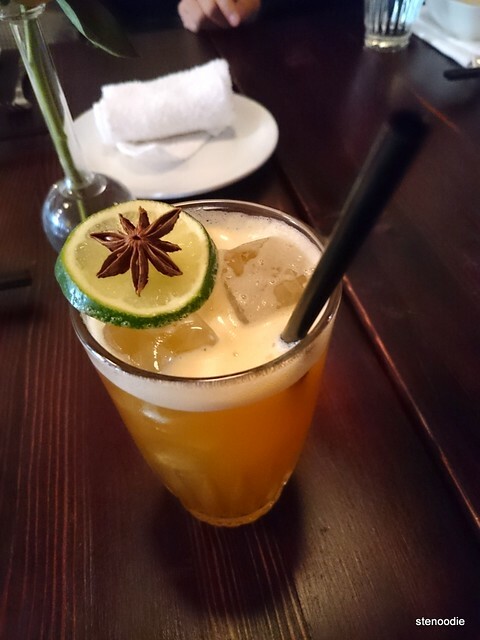 I ordered the “5 Spice Dark ‘n Stormy” which contained rum and beer, but not just any rum and beer! It was “Chinese 5 Spice infused Gosling’s Rum and Lime and Ginger Beer”. It came in a glass with a slice of cucumber and the 5-spice powder with some ice. It tasted a little sour but also left your throat with the spiciness of the spice. It was actually really good and I liked it a lot. Jen ordered the “Kung Fu Fizz” that had Absolut Vodka, Falermun, Green Tea, Lemon, and Aloe Vera in it. It tasted quite sweet compared to mine but I couldn’t distingish the green tea or vodka in it. Brian ordered “The Great Wall” cocktail that are Lot 40 Rye, Pommeau de Bertagne, and Amaro Nonino. We all agreed that his was the strongest drink. Even a tiny sip induced a strong flavour. 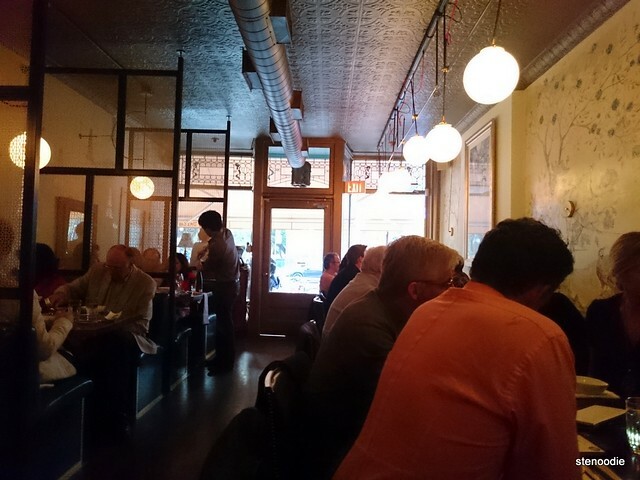 The restaurant began filling up over the course of the night. 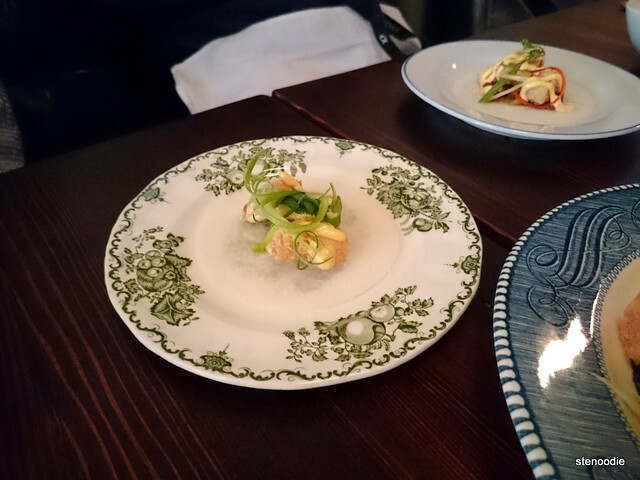 Shortly after our drinks arrived, our first course arrived on the table with the help of two runners. Our server explained what it was. Unfortunately, because I was so overwhelmed with the excitement of the night and because he did tell us very thoroughly what the dish contained, I couldn’t remember the details. This was a fried rainbow trout fish skin over a green curry coleslaw. I liked how it was portioned out into four — one for each of us. Not all pieces were the same in shape; it was a luck of the draw which plate you got. It was a very crispy skin that was fried just right with not too much oil. I liked the creamy green curry coleslaw on the bottom of it. It was a great starter that made me excited for the night. Yummy second and third course! 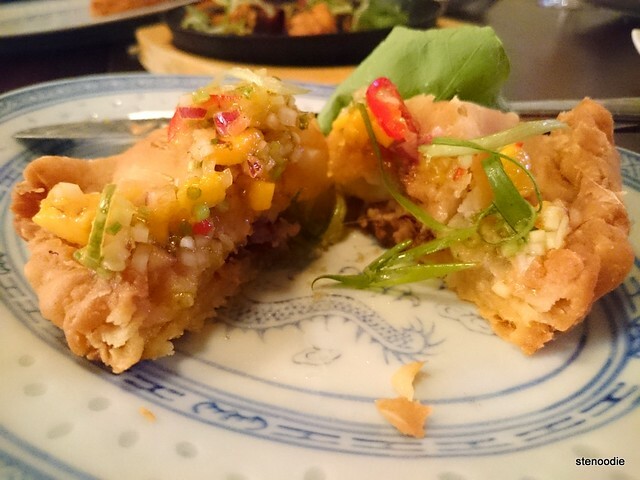 Next up, we had the Fried Watermelon and the jicama rolls (or tacos as I saw them) with pork and squid. 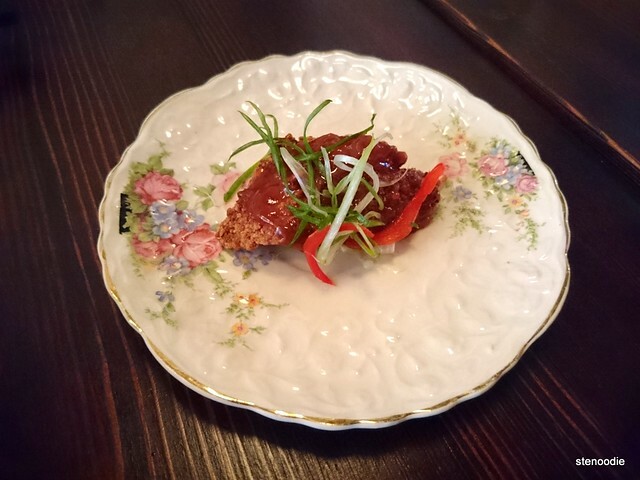 Small cubes of watermelon were fried and placed on a plate with a small dish of pork meat floss that you eat together with the fried watermelon. I’ve never had fried watermelon before. How unique! The cube was perfectly sized to go into your mouth in one bite and was comfortingly warm. It was so delicious. Something was the warm inside and the slight crisp after being fried and the juiciness of the fruit was so tasty. The meat floss was a nice touch too to give it even more texture. The rolls were split up so that each person got one to themselves. Since Andy doesn’t eat meat, the kitchen was able to create one without pork for him. It was so unusual to eat a roll that didn’t have a starchy “taco” skin to wrap the ingredients in. This roll was made with a thin slice of jicama. It was very well sliced and held up the pieces of pork and squid together. I really liked this too and how the flavour of the pork infused into the fresh and juicy jicama. I couldn’t taste the squid at all unfortunately. Next up on our table was a quadruple of dishes. This included the Egg Net Salad, Celtice Salad, Pork & Shrimp Siu Mais, and one of the specials of the night, the Spot Prawn with Congee. What an amazing feast on our table yet again! We tried the Pork Siu Mais first. 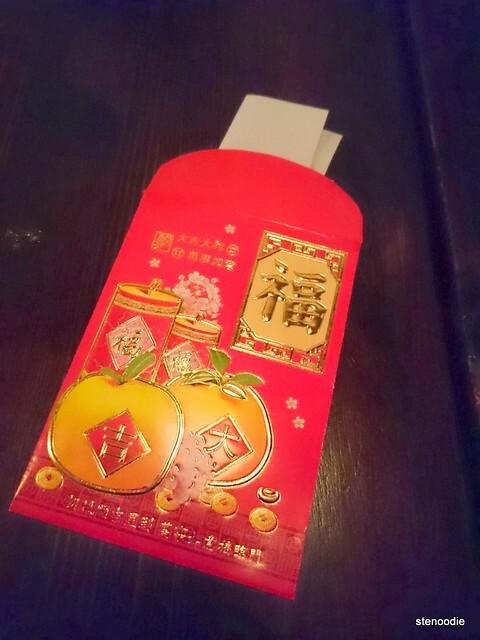 It came with a dish of XO sauce. This siu mai was wrapped with a very thin layer of bean curd and was not bad. 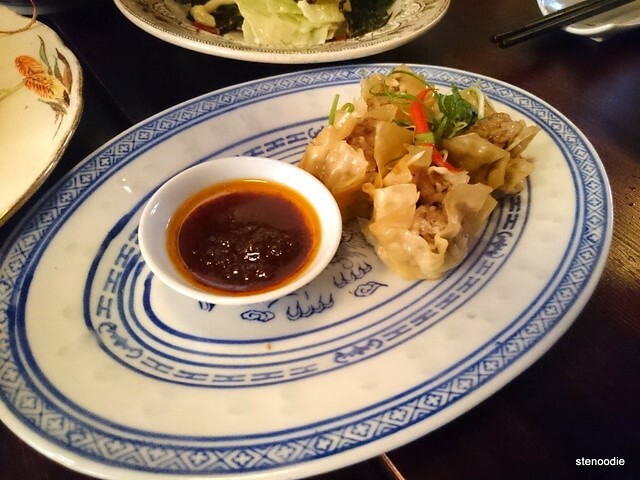 The XO sauce was a bit oily but it added a wetness to the small siu mai. 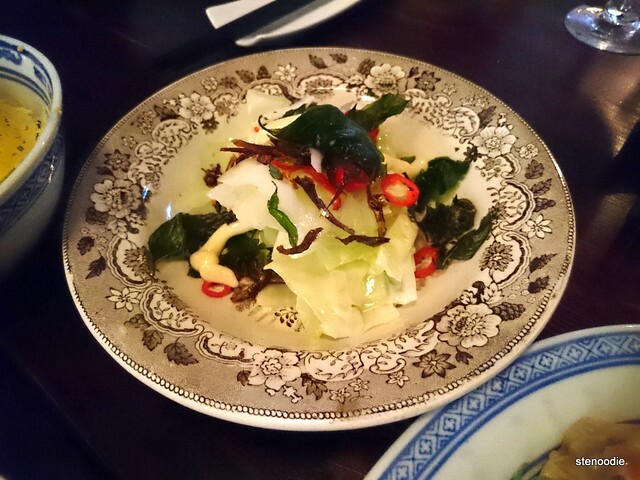 The Celtice Salad was fresh and a cold dish. This one was all right. It was nice and fresh and I liked the contrast between the smooth slices of salad and the hard crispy smoked baby anchovies. Jen thought that the fish-sauce aioli was a bit much but I thought there could have been more of it. 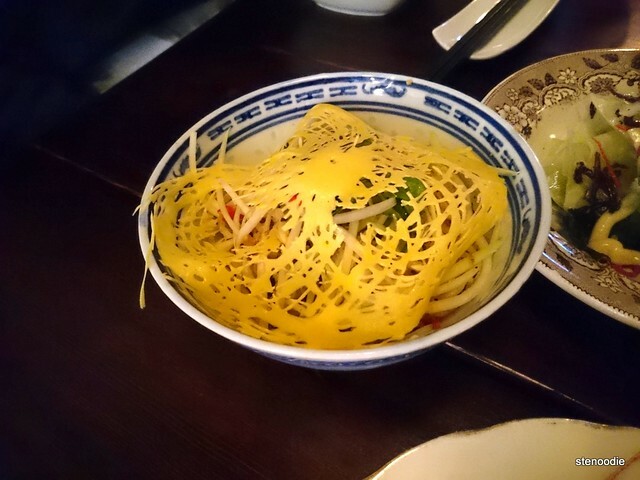 The Egg Net Salad was another uniquely looking dish. There was a thin layer of what looked like a “net” made out of egg that topped the salad bowl. There were a lot of bean sprouts, pomelo, green papaya in there. 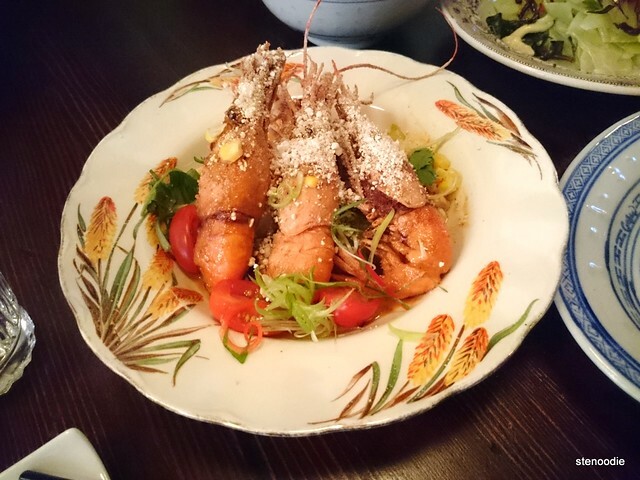 It was a very refreshing dish as well and it reminded us of the Vietnamese vinegar that you use in their vermicelli dishes. 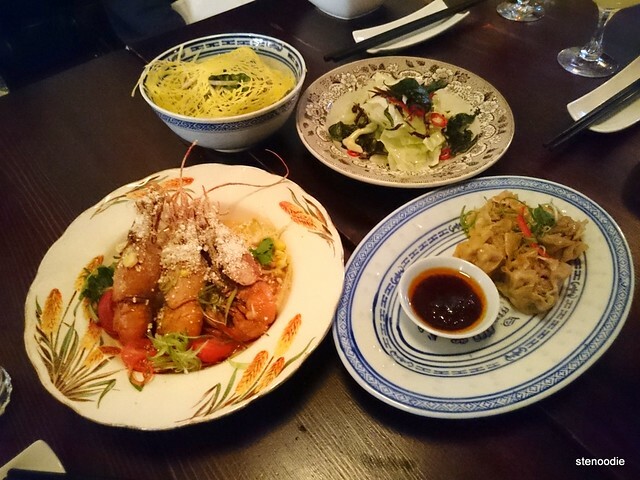 My favourite of these four dishes was definitely the Spot Prawn with Congee. Relatively big prawns topped this bowl of congee and there was a light dusting of dried bits on the top of it. The prawn was lightly fried and was apparently delivered from British Columbia just last night which meant they were very fresh. They definitely tasted so fresh and I loved the seasoning that they used with it. It really brought out the freshness of the prawn. It was also so lightly fried that you could actually eat the entire shell if you wanted to. It was so yummy! Also, I loved the congee and how it was slightly cheesy and buttery. The congee was not only made with rice like it is usually, but it also included grits which made the texture very nice. I really, really enjoyed this dish! After this set of dishes were cleared, we started to get into the major hitters of the night. 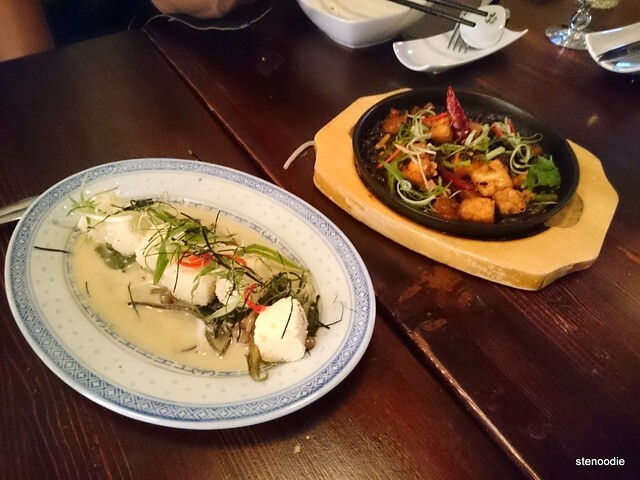 We started off with two tofu dishes: Fried Silken Tofu and the Mapo “Doufu” Halloumi. I advise you to eat the Fried Silken Tofu if you have both dishes on the table because this one is lighter in taste than the Mapo dish. 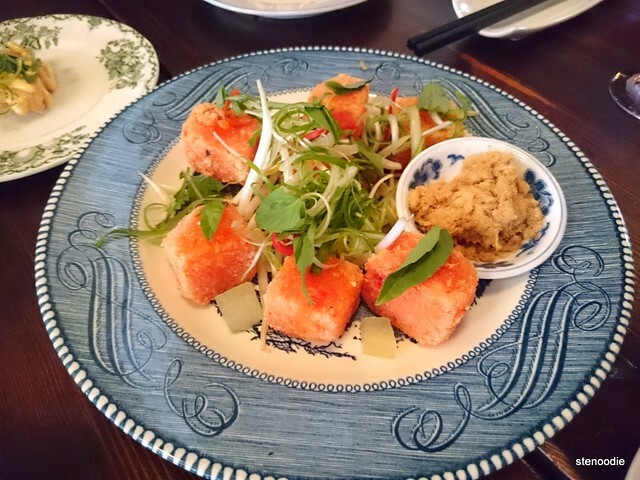 Each cube of silk tofu was very, very smooth on the inside and just very lightly fried on the outside. It was a very clean taste. 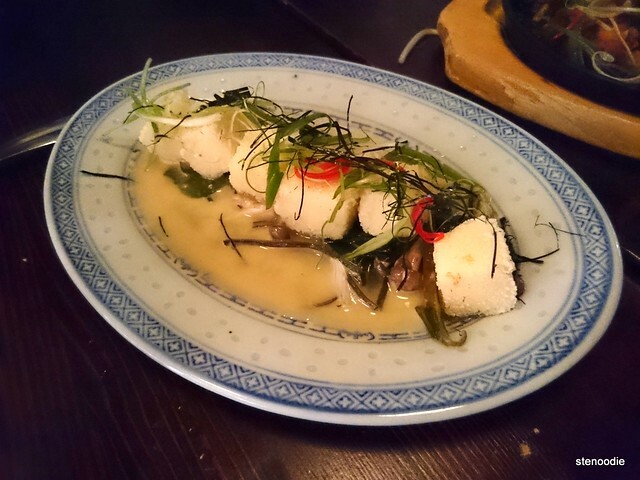 It is served with honey mushrooms and on a bed of seaweed. It was very good and probably the cleanest tasting dish of the night. 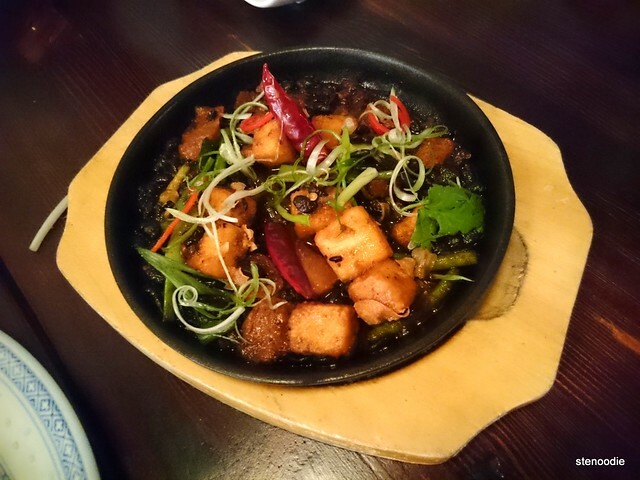 The Mapo “Doufu” Halloumi was a delight! It arrived in a small black pan where there were small bean curds, cheese, pork, and lots of black beans! It was a very intensely flavoured dish which is why if you eat this one before the Fried Silken Tofu like Jen and I did, you’ll find the former dish a little bland. I loved the halloumi cheese (my first time trying this!) and how it was so unique yet firm in taste. Delicious! I couldn’t stop trying the black beans too in the tasty sauce. Yum! There was a quail egg inside it! When our dishes were cleared for a final time to make room for the biggest heavy hitters of the night, we were ready. We were starting to feel full but our server kindly reminded us that there was more food on the way! We were impressed already with the variety of dishes that we had. We didn’t know that there was more coming! 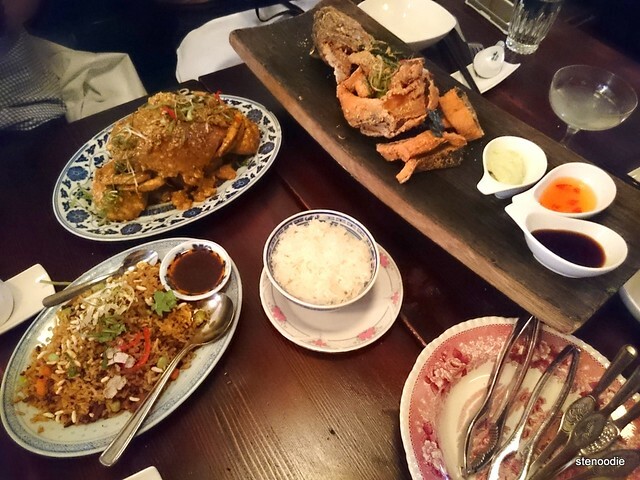 Just look at this spread: We have the Truffle Fried Rice, Curry Crab (the third Special of the Day dish), and the Whole Fried Rainbow Trout . 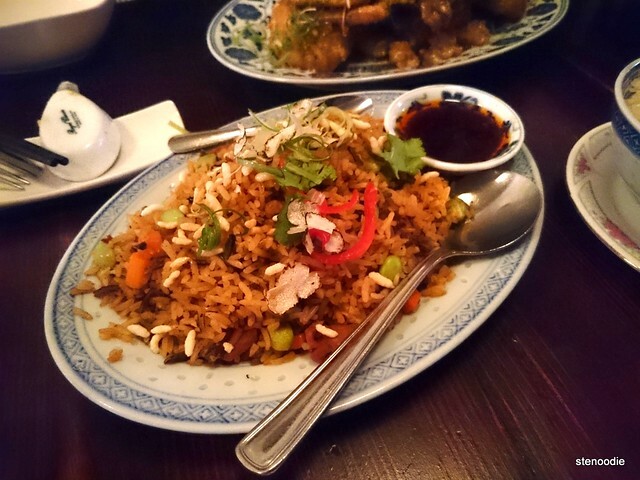 We started off with the Truffle Fried Rice which also came with a dish of XO sauce again. This was all right; I liked how the green peas were fresh and smooth. 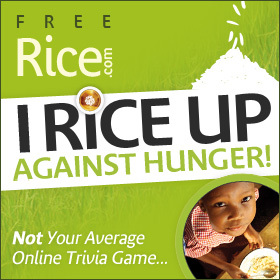 The fried rice was made up with more than one type of grain. It was pretty good. 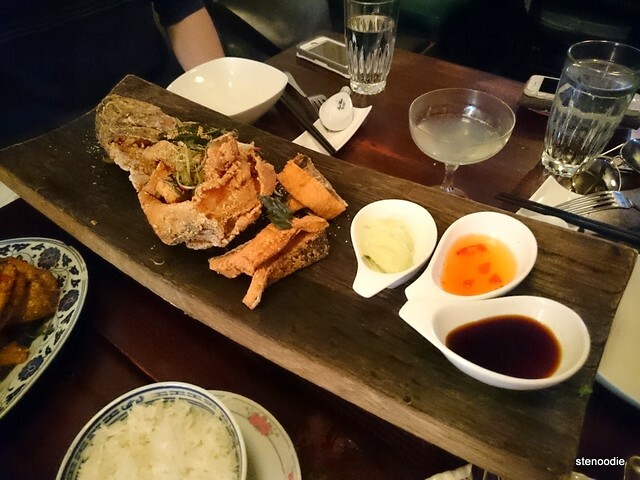 The Rainbow Trout was fried, separated from the bone, and placed on a long elevated board on our table. It was a fantastic presentation! There were a lot of boneless fish segments that I absolutely LOVED. I’ve never had fried fish that was so well done. It wasn’t too fried with any batter left on the fish at all and yet the meat inside was firm and tasty. Amazing! It also came with three types of sauces: green curry Aioli, Vietnamese nahm jim, and soy glaze. Yum! 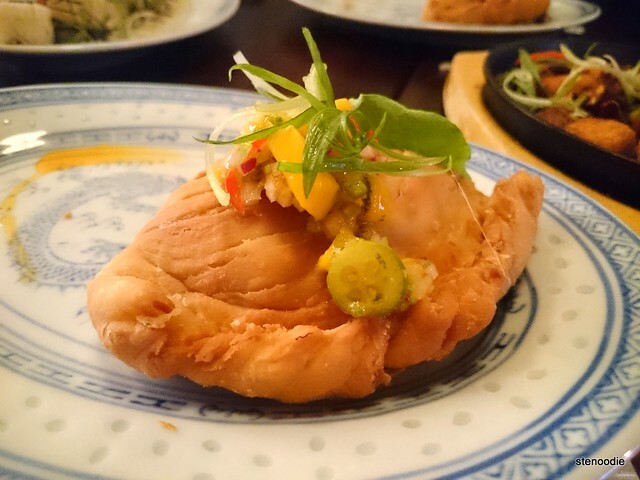 I thought that the nahm jim fit the fish the most, but the green curry aioli was also great. We finished that fish so quickly since it was better tasting when hot. We didn’t really try to get into the rest of the bones or the fish head. 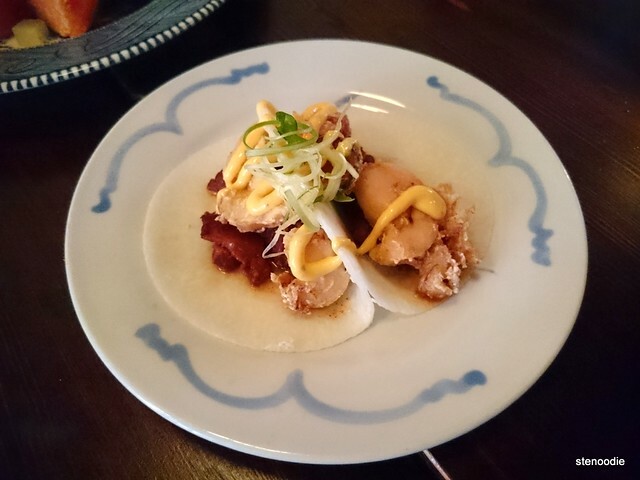 Lastly, another star of the show was the 3rd Daily Special — the Curry Crab. It came with a bowl of Sticky Rice (one of their sides that you can order). The Sticky Rice was taught to us to eat by rolling it into a ball and then scrapping the sides of the curry from the crab to eat together. The Sticky Rice was a bit hard and dry. The rock crab was quite large! Its meat was fresh and firm. It’s hard to find such fresh crab sometimes! I really enjoyed it. The sauce that covered it all was not too spicy and it was a great thick texture. The crab goo also was tremendously fresh and dish delicious. I couldn’t get enough of it! 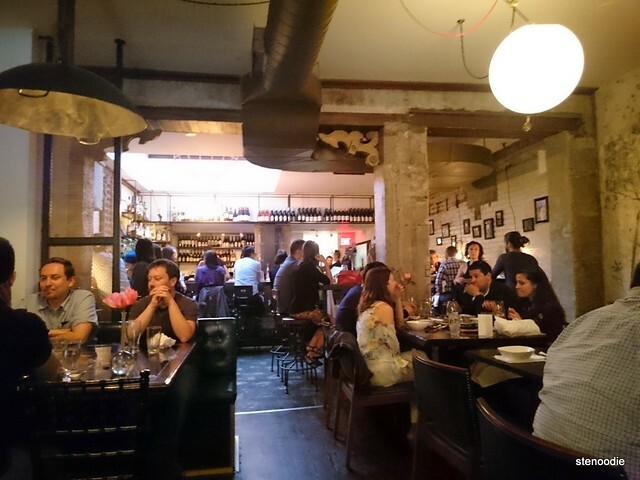 Alas, the night ended and we had finished an amazing 13-course meal at DaiLo! Who would have known that the Chef’s Choice would have been so substantial and delicious! 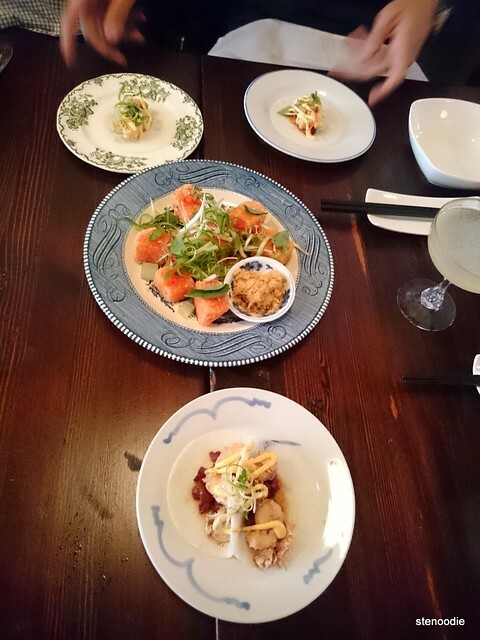 Almost every single dish that arrived on the table was loved upon. My favourites of the night included the fried rainbow trout skin, spot prawn with congee, hallouim, empanda, fried watermelon, crab, rainbow trout, and crab. 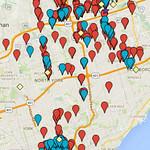 How many restaurants can you visit that has this many favourites in one sitting? 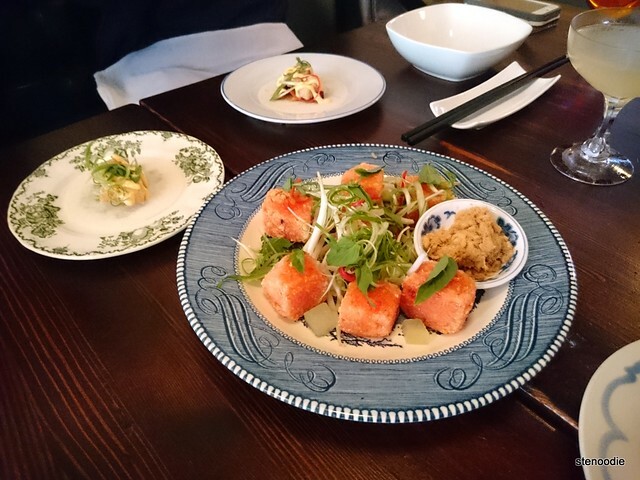 It truly shows that DaiLo is a heavy hitter when it comes to serving delicious and satisfying fusion dishes! I liked how the entire restaurant contained elements of the Asian culture. The wall was painted with Asian trees, the light was made with a wok, the decor of the restaurant was akin to the 50s in Hong Kong, and even the bathrooms downstairs breathed heavily of Chinese culture. It was beautifully done. This entry was posted in Food and tagged 5 Spice Dark 'n Stormy, 503 College St, @DaiLoTO, Bathurst Street, Celtice Salad, Chef's Choice, Chinese, cocktails, College Street, Crispy Octopus Fresh Roll, Curry Crab, DaiLo, downtown, Egg Net Salad, food blog, foodie, French, Fried Silken Tofu, Fried Watermelon, fusion, Kung Fu Fizz, Mapo "Doufu" Halloumi, omakase, restaurant review, Spot Prawn Congee, Sticky Rice, The Great Wall, themed, Toronto, Truffle Fried Rice, Whole Fried Rainbow Trout. Bookmark the permalink.